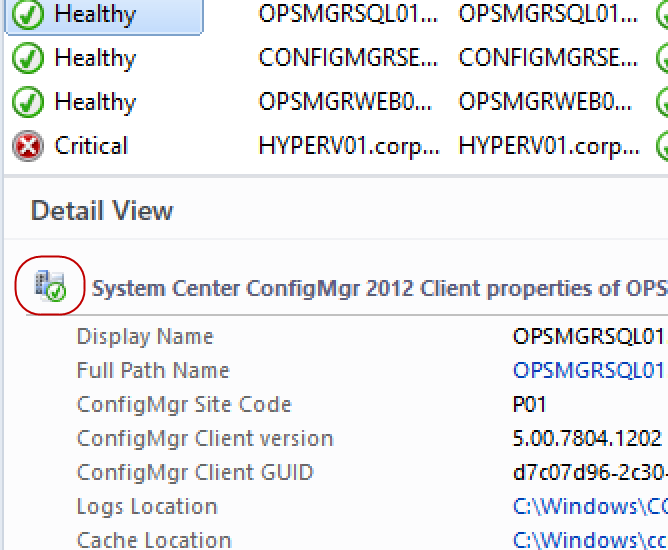 While I was working on the recently published ConfigMgr 2012 Client MP in VSAE, I needed to add few images as icons for the ConfigMgr 2012 Client class that I defined. I couldn’t find any articles on the net explaining how to do so in VSAE for OpsMgr MP’s. Instead, I found this article on how to do it for a Service Manager MP. So the difference between the OpsMgr MP and the Service Manager MP is that in OpsMgr MP, there’s an additional section <Categories> that defines the linkages between image references and the image resources. 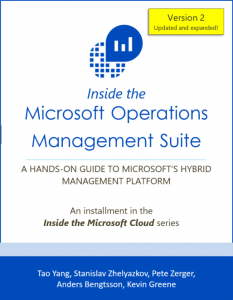 Note: Because the images are added as embedded resources, when importing the MP into OpsMgr, you have to use the Management Pack Bundle (.mpb) file instead of .mp file. 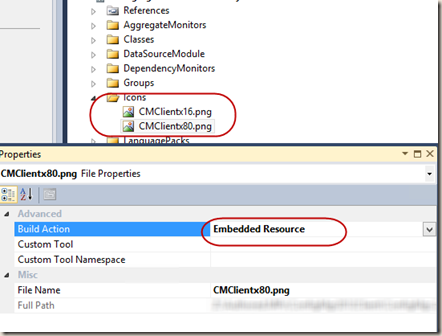 Management Pack for ConfigMgr 2012 Clients – Testers Wanted!! Its a nice article but I want to add a custom UI dll inside my mp and as I was able to add it perfectly but won’t able to use it. 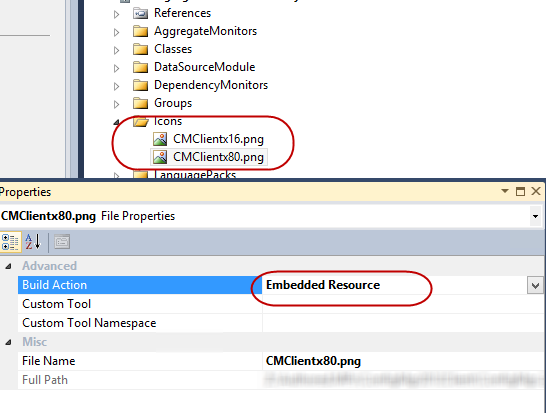 My dll is used to configure Management Pack Template and add settings to my MP. Currently what I do, I install the dll in GAC and as I import my MP, it will show in the Authoring section of SCOM under template. If the dll is not present in GAC, SCOM ui throws me an error the file not found or its in accessible. 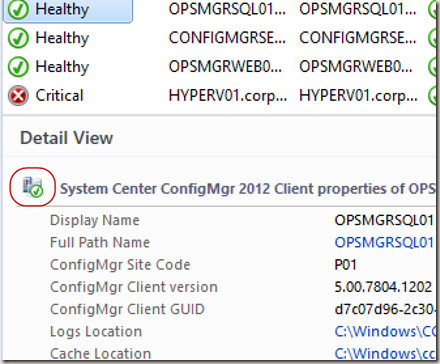 Can you please show me a way to add my dll in the mpb (if it is possible) and then use it in SCOM 2012?